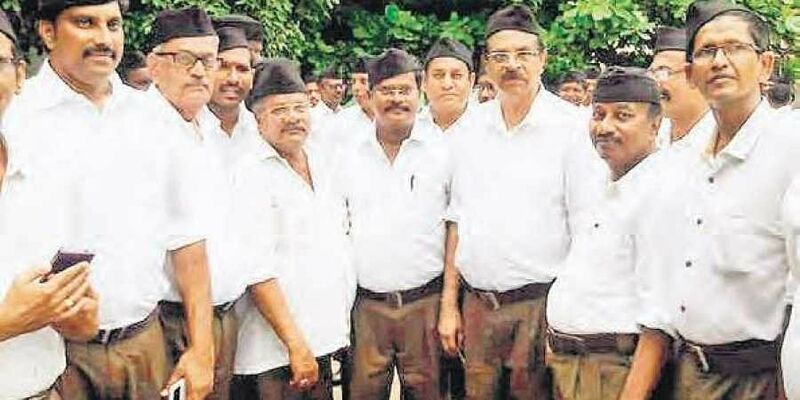 Mohan Bhagwat, Sarsanghchalak (chief) of the Rashtriya Swayamsevak Sangh (RSS) has called upon the Swayamsevaks to work hard for rebuilding of the nation with good values. VISAKHAPATNAM: Mohan Bhagwat, Sarsanghchalak (chief) of the Rashtriya Swayamsevak Sangh (RSS) has called upon the Swayamsevaks to work hard for rebuilding of the nation with good values. He wanted to bring about a good change in the society with patriotism, character and service motto. Delivering the keynote address at the ‘Maha Visakha Nagara Swayam Sevaks Sammelan’ held at the Gurajada Kala Kshetram’s open auditorium here on Saturday, Mohan Bhagwat said that the country still remained strong with its rich culture and heritage because of the efforts of RSS Swayamsevaks. Each and every Swayamsevak must involve themselves in the social service activities as well as in the social change programmes by creating awareness among public about moral values. Since decades, RSS acted as a beacon to the country. “The nation will emerge strong when Swayamsevaks are strong. So, try hard to mould yourselves as strong Swayamsevaks,” he exhorted. Around 1,475 RSS men, including various affiliated organisations, along with BJP MLA P Vishnukumar Raju and MLC PVN Madhav attended the meeting in organisation’s uniform. After around 12 years, RSS Sammelan was held in the Port City and since Wednesday, the RSS chief and leaders discussed extensively various issues related to strengthening and expansion of RSS ideology to other parts of the country in near future.